COURT SESSIONS: Every Wednesday at 6:30 PM and non-motions are scheduled on Fridays at 9:00 a.m. PROSECUTOR: William D. Feingold, Esq. Here at LS&P Lawyers our clients are our number one priority. If you were arrested, issued a traffic ticket, or summoned to appear in Metuchen Municipal Court call us immediately. Our municipal court defense team has close to 40 years of experience successfully representing individuals in courts throughout New Jersey. Over the years we’ve built professional relationships with the local courts, judges and prosecutors. Our familiarity with the New Jersey municipal court system has allowed us to successfully try many cases to a not guilty verdict or negotiate a favorable plea deal on behalf of our clients. We also have specialized training in DWI (driving while intoxicated) defense. Our certifications in Alcotest procedure and field sobriety tests allows us to challenge police officers testimony during cross-examination and weaken the State’s case. Ultimately, this provides our clients with a strong defense. If you or someone you know has been arrested in Metuchen or scheduled to appear before the municipal court for any reason, the lawyers of LS&P Lawyers will work with you to achieve the best possible outcome. Many DWIs and arrests occur a night or on the weekend. No matter the time, we are available to answer your call. Contact us now. Why do I have to appear in Metuchen Municipal Court? 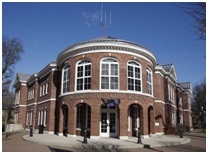 The Metuchen Municipal Court presides over disorderly persons offenses, traffic violations, and DWIs. A disorderly persons offense is criminal offense that is not indictable in the county superior court. “DPs” are commonly thought of as minor offenses and while this may be the case, a conviction will lead to not so minor consequences. Once convicted for a “DP” the judge may order you to pay hefty fines, fees, community service, supervised probation, or even a stay in the county jail. A conviction for a DWI in this court is also very serious and also carries a mandatory license suspension. This could impact your ability to get to and from work and may result in losing your job or making it difficult to obtain one. If you are scheduled to appear before the Metuchen Municipal Court, even if the charge or ticket is small, it is important to at least consult a professional, experienced lawyer to make sure you know everything you need to know and are thoroughly prepared. The Metuchen Municipal Court is presided over by Hon. Gary M. Price. He graduated from Seton Hall School of Law admitted to the New Jersey Bar in 1988. He will serve as a Municipal Court judge through 2015. Metuchen is a borough of around 13,500 people completely surrounded by Edison Township. It occupies an area of just under 3 square miles, so population density is high. This could explain the higher rate of property crime in the area, although it is much smaller than the national average. Both Route 27 and CR-531 pass through town and police are very diligent in writing tickets. Therefore, traffic violations and DWIs are somewhat frequent. The lawyers of LS&P Lawyers defend all types of criminal charges and they will make sure that you receive the best representation possible. The Metuchen Municipal Court hears an average of 15 disorderly persons cases and 30 DWI & traffic infractions every week. Our attorneys are familiar with courtroom procedure and will help you through every step of the process. If you are looking for legal representation, call our offices and speak to one of our attorneys right away. We are available 24/7 and are located at 123 North Union Ave in Cranford, NJ 07016. We are eager to meet with you for a free consultation.